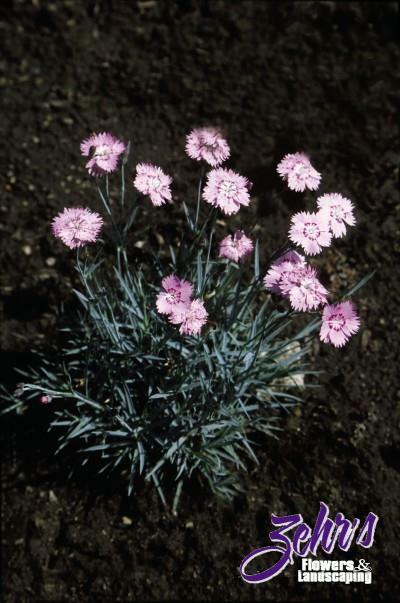 This sport of Firewitch has light pink flowers with a magenta ring and that distinctive carnation fragrance. It has a long bloom period starting in early summer and if sheared will often rebloom in autumn. Has a spreading habit and blue tinged foliage. Great for the front of the border, creeping over walls, in the rock garden or as an edging plant.